If you’re still listening to any of your TVs through their built-in speakers, here’s an easy fix for under $80. 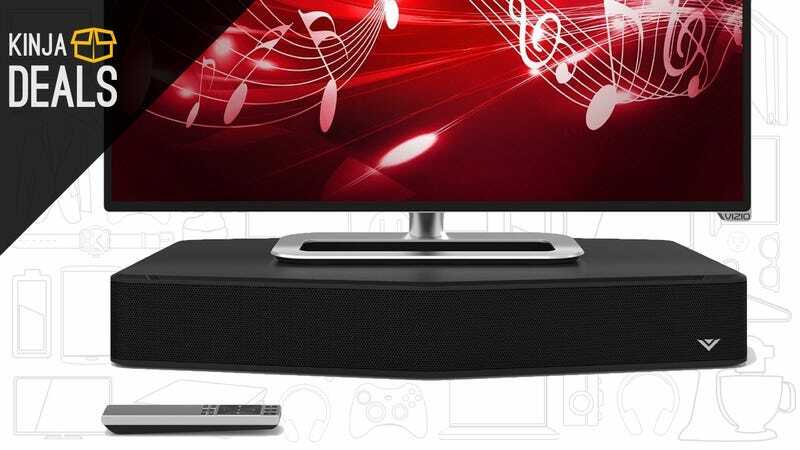 This refurbished Vizio Sound Stand pumps out up to 101 dB of crisp stereo sound, and includes a built-in subwoofer for extra bass. Plus, you won’t even need to find a place to put it, because your TV sits right on top. This might not be ideal for for your main home theater setup (personally, we’d recommend this 5.1 channel Vizio system), but it’s a perfect little integrated system for your other TVs around the house. I might just get one for my bedroom.